Agnes Armstrong, Chris Griffiths, Dora Griffiths, Jan Griffiths, Peggy Griffiths, Brenda Ningarmara and Phyllis, Ningarmara, Wirnan 2018, multi-channel digital video, 7 minutes 12 seconds. 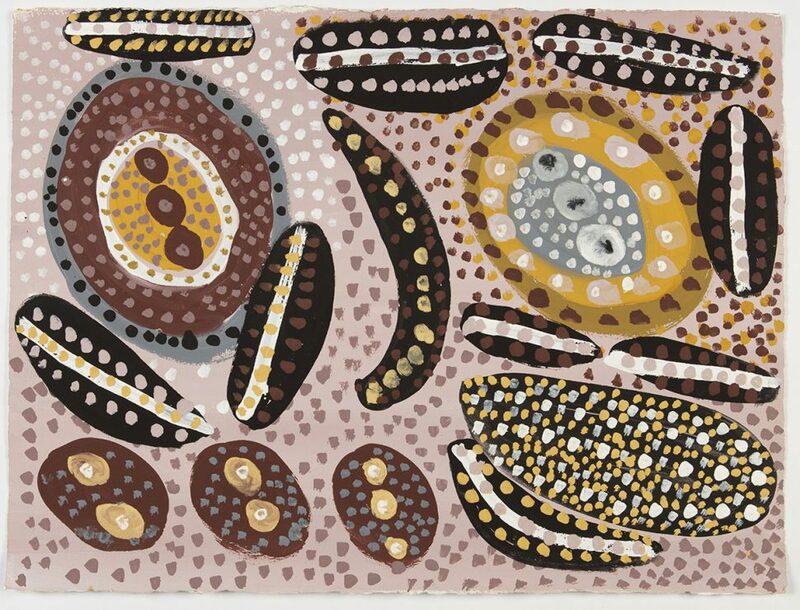 Courtesy the artists and Waringarri Aboriginal Arts. Helicopter Joey Tjungurrayi, Wangkartu, 2017, kiln fired glass, 31.2 x 21.7 cm. Courtesy Warlayirti Artists. 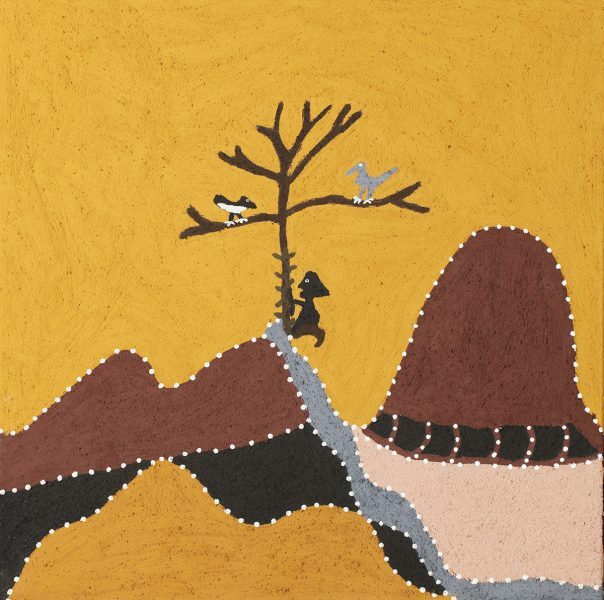 Shirley Purdie, Goorralg-Goorralg: Storm Bird and Willy Wagtail, 2018, natural ochre and pigment on canvas, 60 x 60 cm. Courtesy Warmun Art Centre. 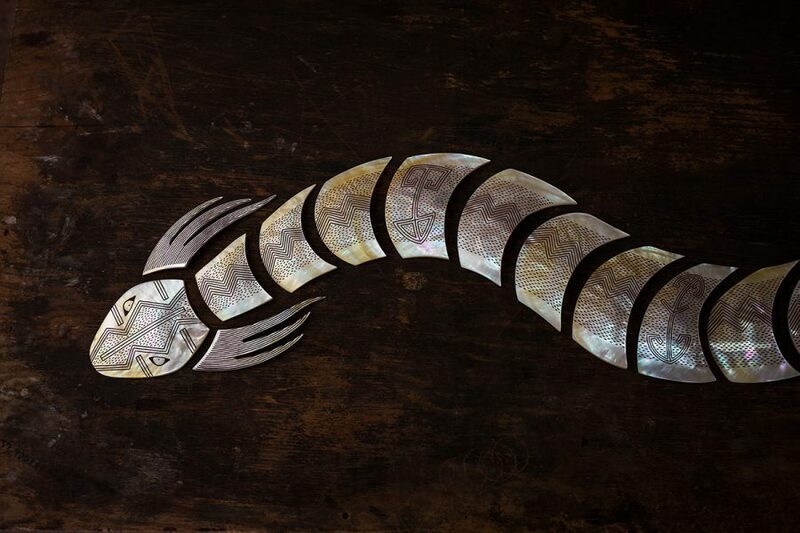 Garry Sibosado, Aalingoon (Rainbow Serpent), 2018 (detail), ochre pigment on engraved pearl shell, thirty-four parts, 182 x 28 cm (overall), Courtesy the artist. Mrs Taylor, Aru, 2018, ochre pigments on paper, 57.5 x 76 cm. Courtesy the artist’s family and Kira Kiro Art Centre. 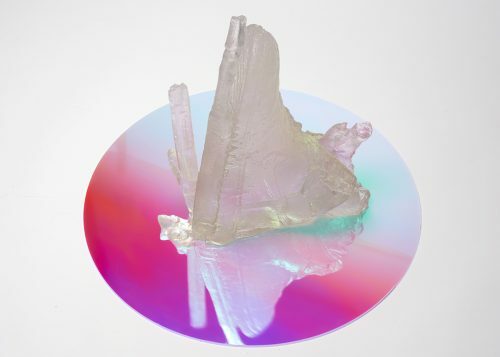 Daniel Walbidi, Wirnpa, 2016–2019 (detail), sand installation and digital video, dimensions variable. Courtesy the artist and Short Street Gallery. Ngarralja Tommy May with his artwork, Untitled, 2018, synthetic polymer and paint pen on sheep hide, 122 x 158 cm. Courtesy Mangkaja Arts Resource Agency. The wrinkly-edged, northern tip of Western Australia is an environmental patchwork. Its radical ocean tides teem with crocodiles, pearl-budding oysters and terrible irukandji jellyfish. Seasonal cyclones dump freshwater into labyrinthine gorges. Further east, the land is arid and theatrical: ancient sandstone formations, ferrous soil, whispering desert grasses. Fifty thousand people live (among busloads of tourists) in towns like Broome and Derby, mining encampments, or on Country, days from any infrastructure. The name for this place of boabs, toadlets and zinc, ‘the Kimberley,’ is a misleadingly one-dimensional moniker for an utterly diverse region. 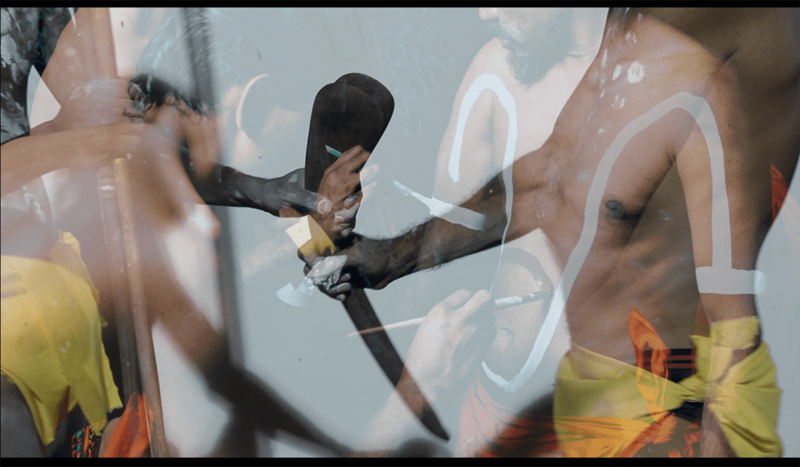 For six years, the Art Gallery of Western Australia (AGWA) has provisioned artistic endeavour across the Kimberley, connecting with Kira Kiro, Mangkaja, Mowanjum, Waringarri, Warlayirti and Warmun art centres. The program has precipitated a web portal, professional development, and now an exhibition. 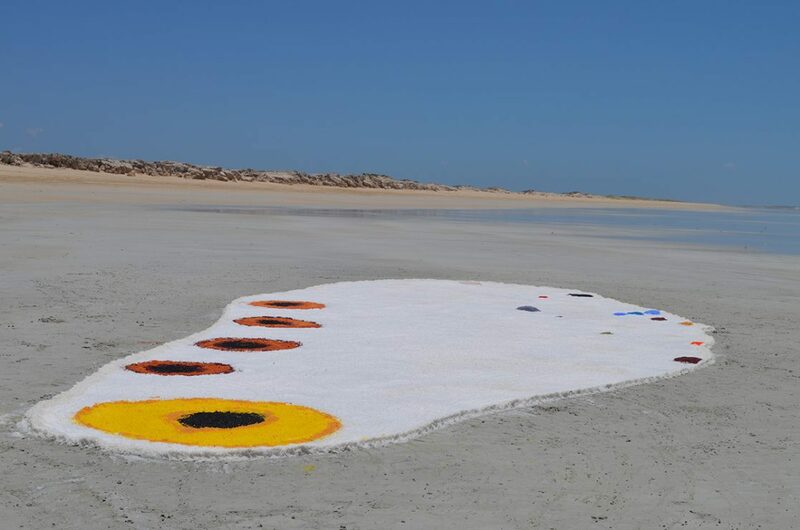 Desert River Sea: Portraits of the Kimberley is encyclopaedic, bringing together commissioned community art projects alongside state and regional collection holdings. Curators Carly Lane and Emilia Galatis embraced the hugeness of the project as they criss-crossed the Kimberley, wrangling artworks, deadlines and patchy reception. 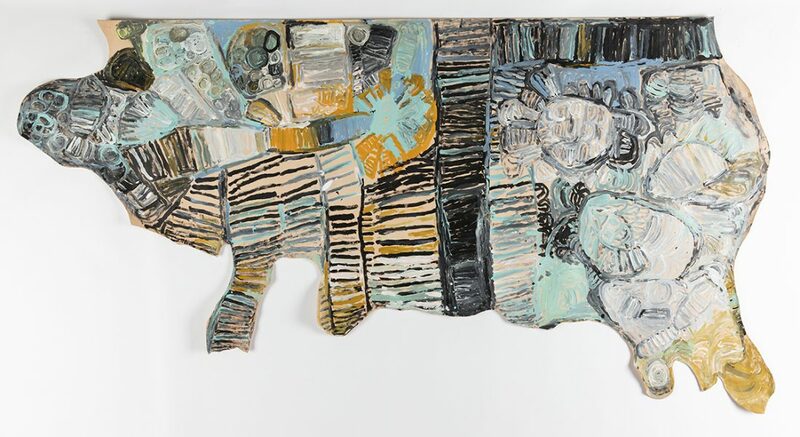 Sonia Kurarra, Noonkanbah Highway 2018 (detail), synthetic polymer on cow hide, 140 x 268 cm. Courtesy Mangkaja Arts Resource Agency. Cultural consolidation was the focus at Warlayirti. Once home to a busy glassmaking hub, the studio’s kilns had lain dormant for years. 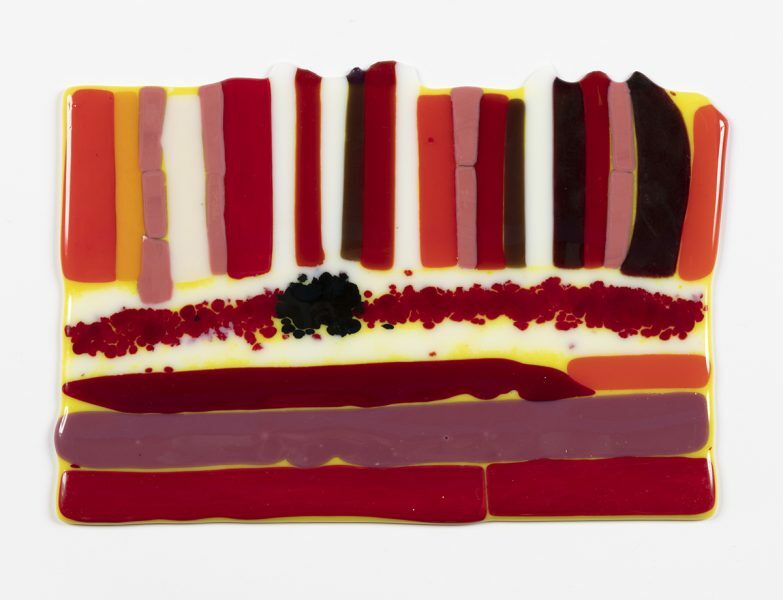 “The artists were excited to rediscover glass,” says Lane. 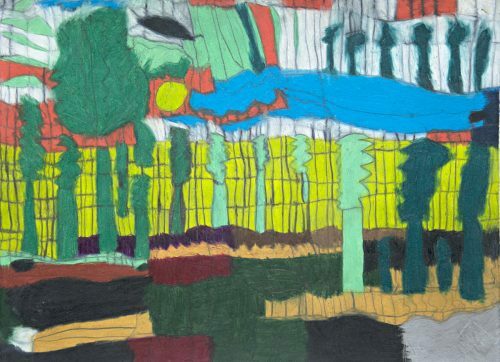 Vivid glass panels made by the Yukenbarri sisters illustrate local bush foods and echo traditional Balgo painting techniques. In a third gallery space, six curators from Aboriginal arts centres have selected work from their own community collections. 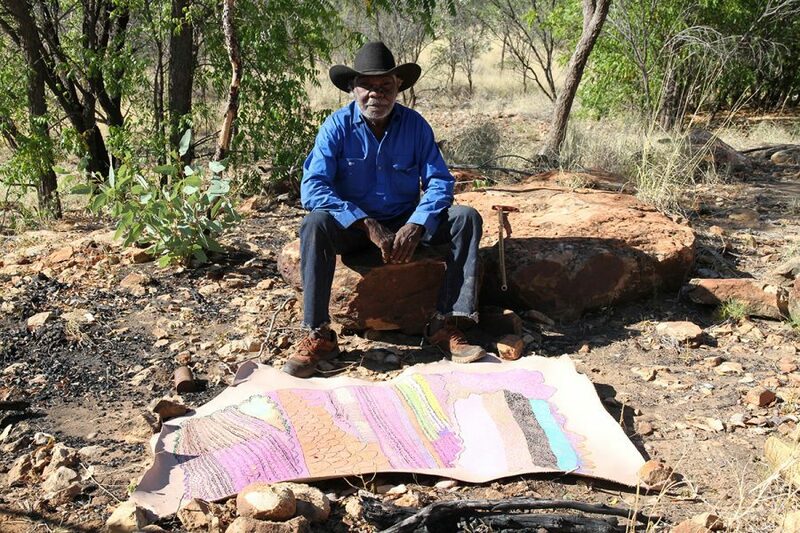 Most are ambidextrous arts workers who run websites and studios, write, research and curate, yet rarely get the kudos of titles like ‘curator’ or ‘coordinator.’ Lynley Nargoodah’s selection of work by deceased Mangkaja artists uses the theme of water to unpack the political status of the Fitzroy River. 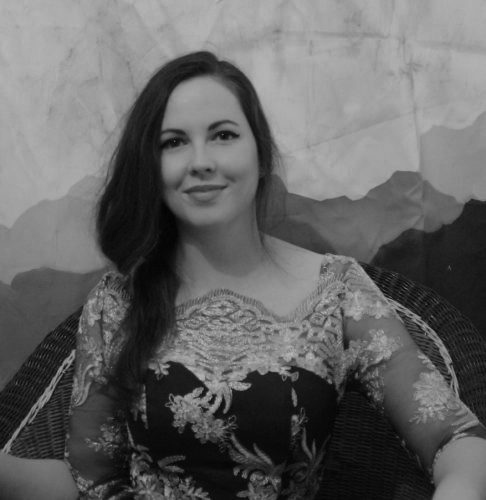 Throughout her career Jasmine Targett has worked with esteemed researchers and organisations, including NASA, and used their research and technology in her work. 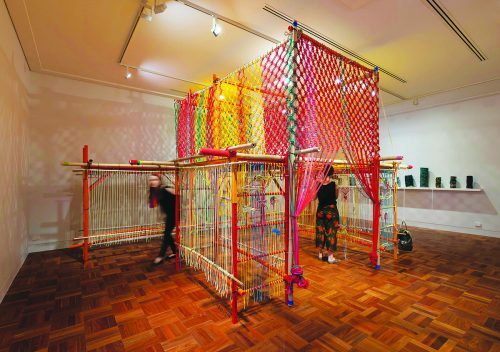 Co-curated by SAM’s Anna Briers and Rebecca Coates, Craftivism features 18 Australian artists who share an affinity for craft-based art with political gestures.